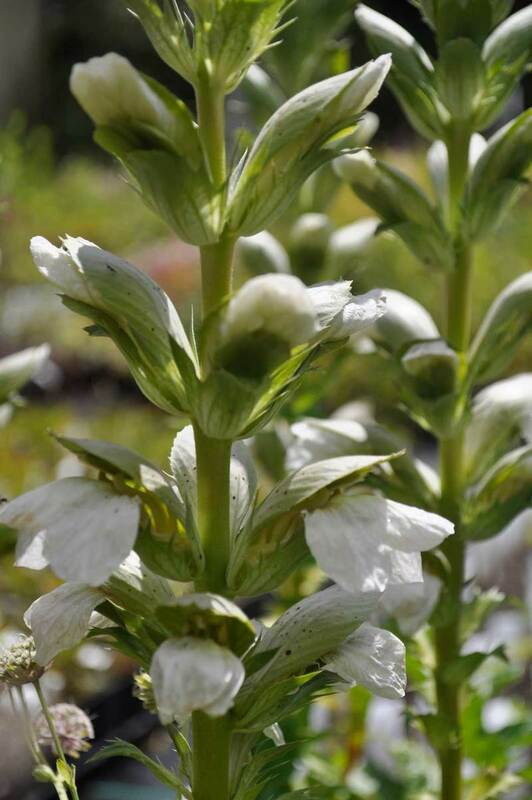 Acanthus are also known as Bear’s breeches, a name that was adopted centuries ago, the origin of which has long been lost. Originating from the Mediterranean their beauty was appreciated during Greek and Roman times, where the leaf form can be seen carved around the top of tall colonnades. It has been grown in our gardens since medieval times, largely for medicinal purposes and during the 18th century it was still used for medicine. Architecturally handsome, the flowers appear from mid-summer, forming thick spikes up sturdy flower stems. Each bloom has a large, lower lip guarded underneath by a spiky, green bract. The upper part of the flower is much smaller and covered with a long, gently dome hood-like bract that can become purple as the flower ages. At the base the leaves are also big; some are spikier than others. 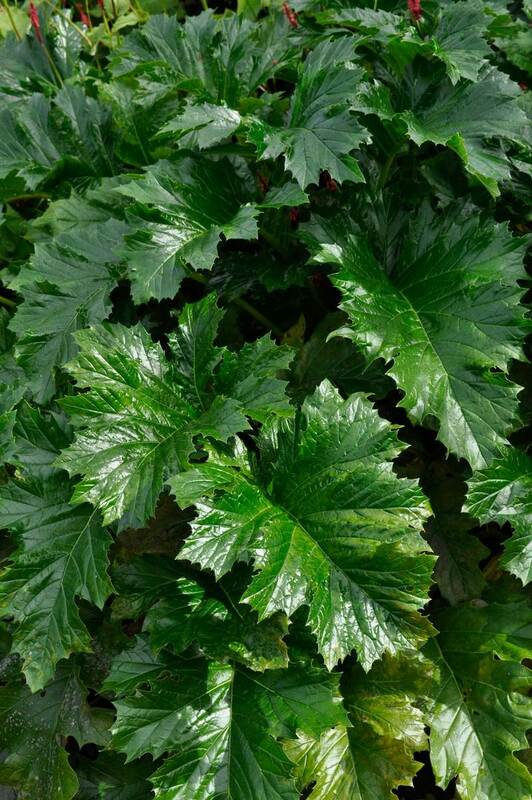 When established Acanthus will form a big, vigorous clump, the roots gradually spreading outwards to form a leafy swathe. The species we grow in our gardens are found around the Mediterranean on dry hillsides, along dry verges and rough land. 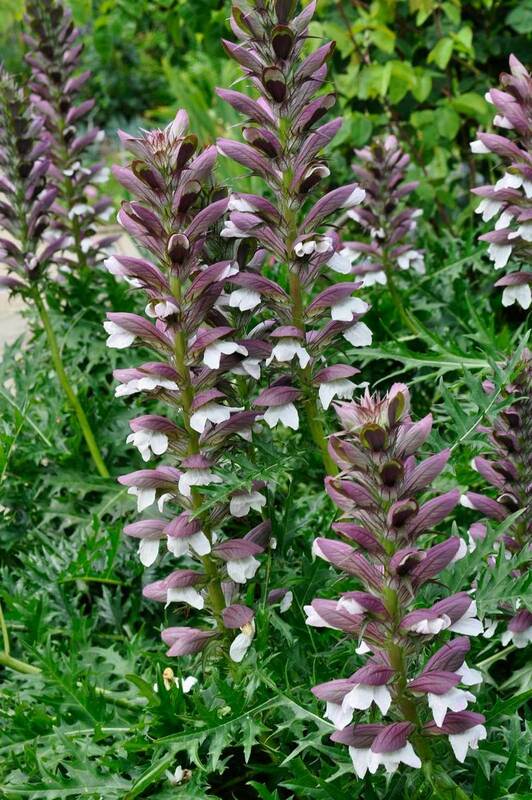 Despite their origins Acanthus grow happily in the UK. They like a very well-drained soil, even very dry. They like sun, but are happy with some shade. A plant-and-go plant, cut back the whole plant any time between autumn and spring. Dividing: when it gets too big.